Neither his or her heart, will or the ability to dream is controlled by the physical world dwelling around them. Though a person may be nearsighted, the imagination can see clearly into the future. And when the will, the 'I can', overcomes the 'I can't' of physical circumstances great success can be just around the corner. The life of 'Bob' Gerard mirrors the invention for which he would become known. Nearsightedness could forever have relegated the automobile to nothing more than a motorized carriage. However, imagination of what the car could be led to turning the corner of the century and the automobile stepping into a wholly different realm. 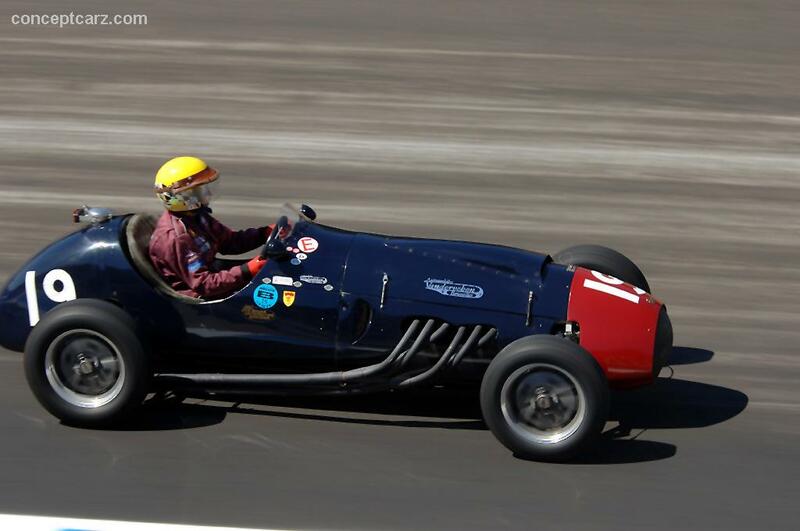 Despite being severely near-sighted, Gerard had a vision of himself becoming a motor racer. This focus on things near to him helped Bob to follow a course that took him to the fulfillment of his dreams. Born in 1914, in Leicester, England, Frederick Roberts was born into a family not unaccustomed to motorized travel and what motorized vehicles can do. Starting out life as a bicycle manufacturer and then moving into the fledgling automobile industry, Parr's Limited made a name for itself, but in the hauling market, not highly tuned racing machines. Parr's is a family business to which Gerard was born into and gave him his first taste of things mechanized. In fact, despite being in the hauling industry, Frederick's father enjoyed riding to work each day in a sporty Riley. This chassis type gave Bob his introduction into the realm of high speed machines and fanned the flame of competition. Not straying far from what he knew, when Bob decided to compete in his first event he decided to do so in a Riley Nine. At the age of only 19, Bob took part in his first motor race, the difficult MCC Land's End Trial. Despite the notoriously difficult course, Bob finished. Not only did he finish, but was awarded a Premier Award. This result seemed to set Bob more on a course to become a racing driver instead of merely a working man with a hobby. The remainder of the 1930s saw Gerard compete in a number of trials, sprint races and even circuit racing. The purchase of a 1.5 liter Riley Sprite helped Bob to be competitive in the circuit races despite the presence of other bigger horsed chassis. Having a home circuit advantage always helps and Gerard had that, it seemed, in Donington Park. Despite being down on power compared to the rest of the field, Bob's local knowledge of the track appeared to help him secure a 9th place finish in the Donington TT race, a rather prestigious race in its day. It also helped him to score a couple of victories, in smaller events, as well. Though proving to be successful, auto racing didn't pay for victories and good results as they do today. Therefore, Gerard had a busy schedule; taking care of the family business, while competing at races, especially Donington, whenever he could. Though without any success, some of the highly-noted races Gerard took part were the Nuffield Trophy races in 1938 and 39. He also raced in the Opening Meeting at Brooklands in 1939 and took a surprising, eyebrow raising, third place. After the war, racing became a truly family affair. At the Cockfosters demonstration, in 1945, Bob's wife Joan raced the old Riley Sprite while Bob moved into his first true race car, an ERA R4A (See ERA article) that he had purchased from Reg Parnell for £1,000. The car was not in the shape Bob desired when he purchased it however. Using his engineering background, and by tearing apart and cannibalizing spare parts from an R6B, Bob was able to get his ERA ready in time for the Cockfosters demonstration. 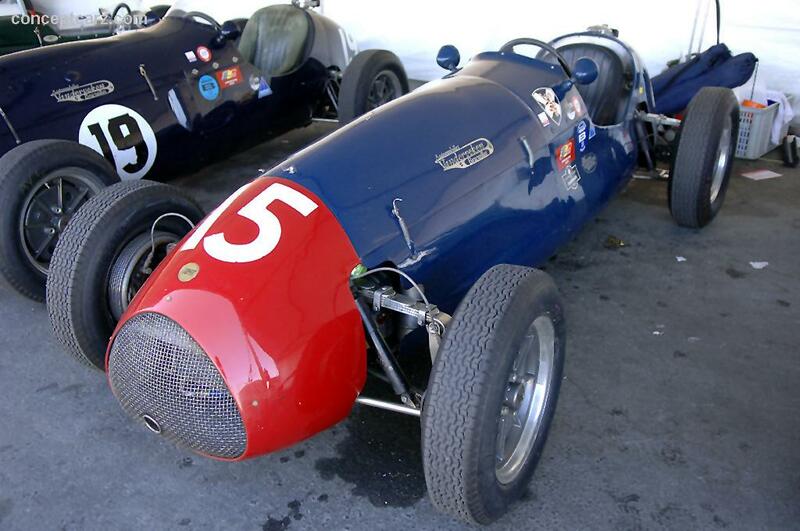 Bob and Joan continued to use the R4A to great effect throughout the 1946 season, scoring victories in many hillclimbing and sprint races. After the war, grand prix racing once again became a foremost racing endeavor. The hottest technology and the best drivers could be found racing grand prix. 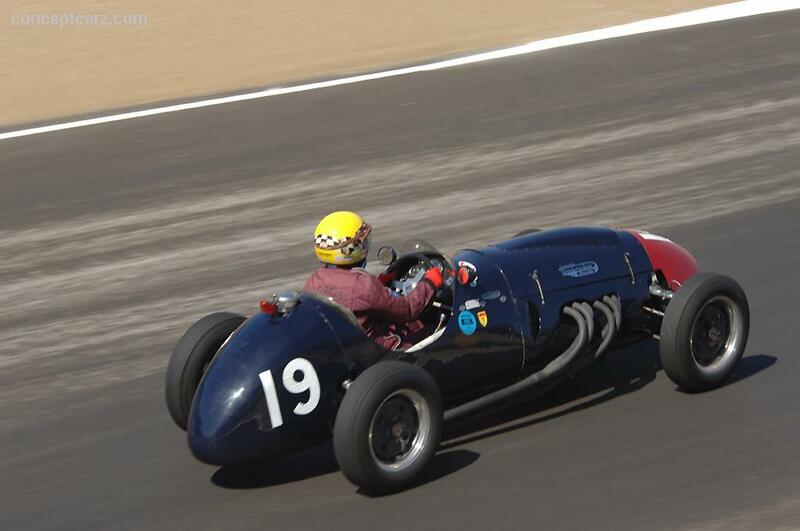 Gerard's ERA R4A was going to be no match for the latest grand prix cars, like the Maserati 4CLT/48. Bob needed a reliable, and yet, powerful chassis and engine combination. Gerard stuck with ERA, choosing the R14B. As delivered from the factory, the R14B did not stand Bob a greater chance of success, but with Gerard's engineering background, the necessary changes could be made to give him a better shot. And the number of changes Bob made were not few. However, the major changes he performed to this pre-war machine included fitting a preselector gearbox and exchanging out the bigger, more inefficient, Zoller-type supercharger in favor of the Murray-Jamieson design. These changes were under the hood, but the chassis was not spared either. Gerard replaced the old, upright and non-aerodynamic radiator, with a cowl much more raked. This meant that for Bob to make this change he also needed to lower the line of the cowling over the engine. Frederick used these changes to great effect almost immediately, despite the overall age of the car. 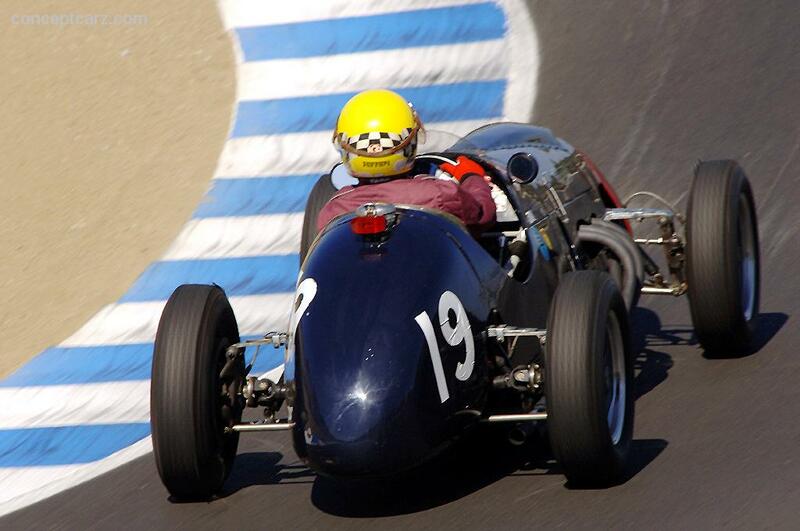 Gerard and the R14B would go on to achieve three consecutive victories in the Empire Trophy races. They would also earn two more victories in the Jersey Road Race between the years of 1947 and 49. Having such a potent machine offered Bob confidence to venture beyond British shores, and he wouldn't be too disappointed either. Throughout 1947 to 49 Gerard scored a number of top ten finishes in standard international events. In 1948, back home in England, during the first British Grand Prix, Bob drove his, now decade old, R14B to a 3rd place finish behind only the newly arrived Maserati 4CLT/48s of Villoresi and Ascari. 1949 would be Gerard's year. At year's end, Gerard would be awarded the British Racing Drivers' Club's Gold Star award, and rightly so. At the British Grand Prix, Bob eclipsed his third place finish the year before by coming home in 2nd, once again only beaten by a Maserati. Gerard would also score two victories and a 7th place finish in the International Trophy race at Silverstone. Bob would continue to carry the good fortune with him into the 1950, and first Formula One, season. By now, Gerard's R14B was considered ancient. However, Bob made up for what the car could not produce all by itself. Known for car setup and preparation, Frederick used his skills to prepare his R14B and this preparation kept him in touch with many other cars that out-right out-classed his ERA chassis. Bob proved there was still some ability in the old design when he went on to win the British Empire Trophy race on the Isle of Man in June of that year. Gerard would also go on to finish 4th in the Jersey Road Race. Being a Brit, Bob was present for the first round of the Formula One series at Silverstone and the British Grand Prix. In qualifying, Gerard posted a time some 6+ behind the pole-sitter Farina for a 13th starting spot on the grid, solidly in the middle of the field. During the race, Gerard's attention to car preparation and reliability helped him steadily climb up through the field. Many other big names, like Fangio, had car failures, and yet, Gerard's reliable ERA helped him to finish only one place out of the points in 6th, some 3 laps behind the winner Farina. If being a Brit necessitated being an entrant at the British Grand Prix, then the next round at Monaco necessitated a driver's presence just for the mere prestige, and this even before Monaco became what it is today. Qualifying in one of only two ERAs, Gerard's qualifying was less than spectacular. Bob ended up qualifying in the 16th spot for the race. Despite his poor starting spot, Bob's attention to car preparation, once again, paid off…well almost paid off. Steadily Gerard climbed up through the field after avoiding the first lap wreck that took out many of the competitors. Gerard would, once again, come home one spot out of the points in 6th. Not bad for a car well over a decade old. 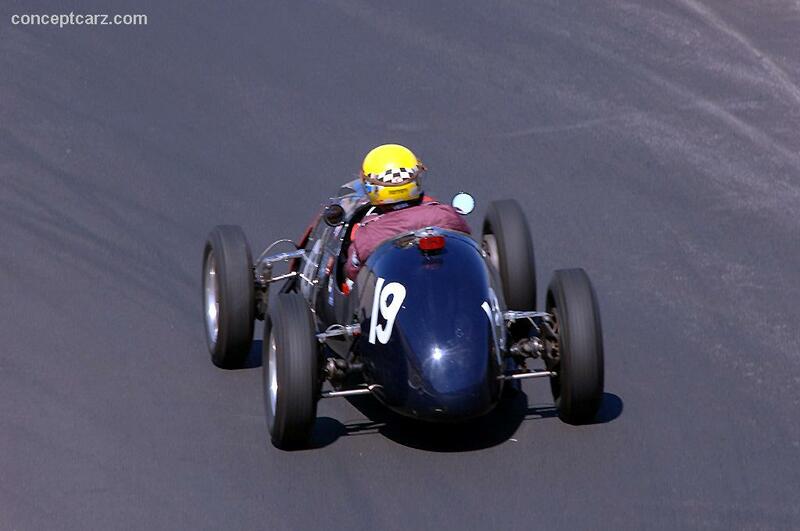 This would be the last of the Formula One events Gerard would take part in during the 1950 season. 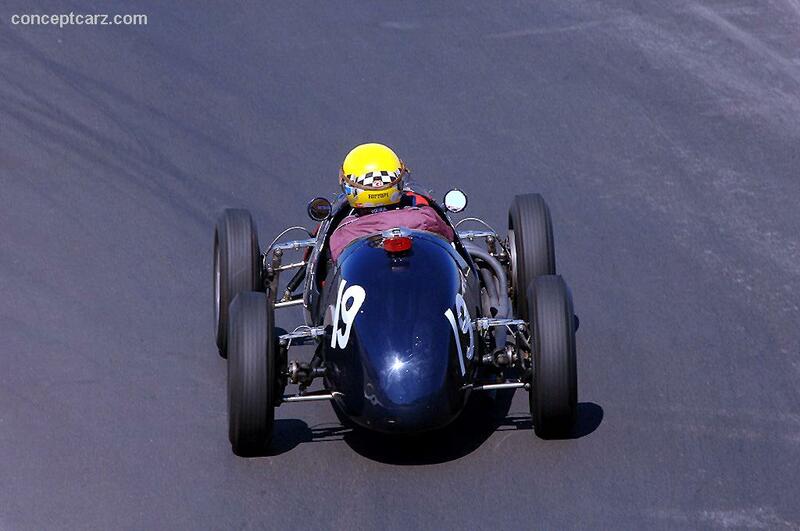 However, Gerard did not stop racing in 1950. In August, Bob took part in the Ulster Trophy Race in Dundrod, Northern Ireland. Racing his R14B, Bob finished the race in 2nd behind Peter Whitehead, some 16 seconds behind. Later in August, Gerard took part in the BRDC International Trophy races. Racing in heat two with the likes of Fangio, Moss, Chiron and Ascari, Gerard raced his ERA home to a 3rd place finish, just under 2 minutes behind heat winner Fangio. This set Bob up for the final heat of the Trophy race, but it did not end as well as his heat race. About two laps from the end of the race, Gerard hit some hay bails while pushing and it broke his steering. This forced him to have to retire from the race. Despite this misfortune, Bob was back in September for the Goodwood Trophy race. Driving his R14B again, it showed no ill effects and Bob was able to race his chariot home to a 3rd place finish behind race winner Parnell. As the 1950 season drew to a close it also closed out a rather successful period for Gerard, at least on an international level. 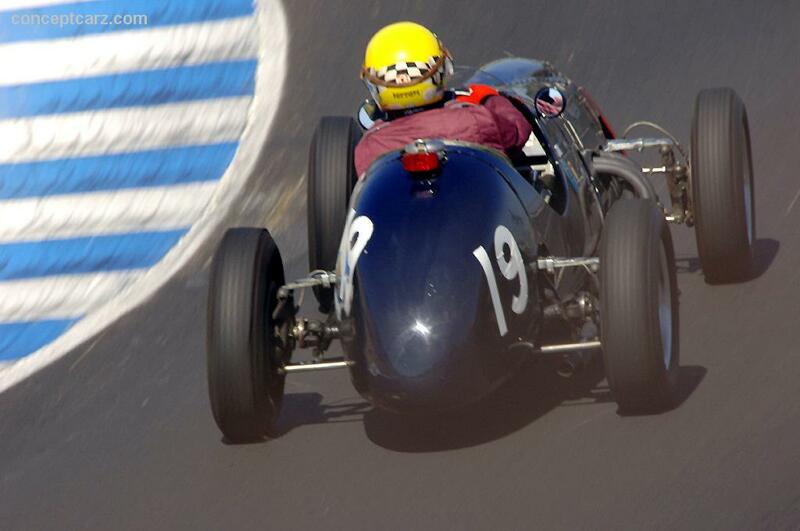 After 1950 Bob stayed rather close to home, remaining a dominant force in his ERA R14B, and later, Cooper T23 and T43. However, it would not be until Gerard's final Formula One race in 1957 that Bob would crack the top-ten in Formula One again. In that race at Silverstone, Bob would again finish in the 6th position. This apparent lack of success in Formula One was not indicative of his abilities. In fact, throughout the 1950s Bob won a number of races and was a widely respected competitor, especially in his home nation. He was so widely respected that the owners of the Mallory Park track, in his birth region of Leicestershire, honored Gerard by naming its most notable bend Gerard's. The wonderful thing about Bob's talent was that he didn't mind sharing it for the benefit of others. Despite racing himself into the 60s, Gerard started preparing cars for up-and-coming drivers, teaching them about the importance of car preparation. This he would continue to do right up into the 1980s, only a few years before his death in 1990. Undoubtedly, Gerard's near-sightedness helped him to focus on details, but it would be that attention to detail, those small steps, that would help propel him beyond perhaps even he, or others, could have imagined or foreseen while working in the family business. The 500 Owners Association Contributors. 'Bob Gerard.' The 500 Owners Association, Web. 13 Apr. 2010. Wikipedia contributors. 'Bob Gerard.' Wikipedia, The Free Encyclopedia. Wikipedia, The Free Encyclopedia, 22 Mar. 2010. Web. 13 Apr. 2010.